Automotive LED application has provided advanced light sources for drivers and now it offers a new function: creating eyes for self-driving cars like those of Herbie’s. 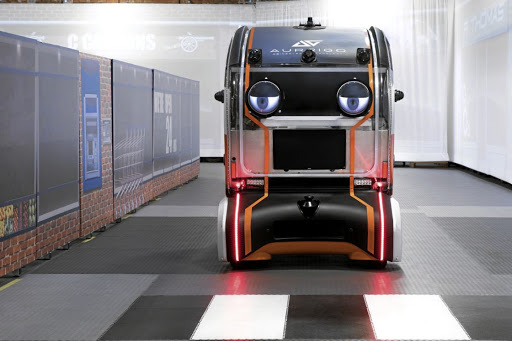 Jaguar Land Rover had developed a prototype autonomous vehicle with two virtual eyes in front to make “eye contact” with pedestrians to make them feel safer while crossing the road. According to the statistics released by American Automobile Association, more than two thirds of people indicated that they feel less safe sharing the road with self-driving vehicles while walking or cycling. To further investigate how vehicle behavior affects human confidence in new technology, Jaguar Land Rover has worked with a team of cognitive psychologists as part of the engineering project. The autonomous car with the googly eyes, named “eye pods” ran a realistic street scene which enabled Jaguar Land Rover to study behaviors of 500 test subjects as they waited to cross the road. The eye pods seek out the pedestrian as if they are looking at them to notify road users that it has identified them and intended to avoid them. These eyes, however, do not actually see things. They have been devised by a team of advanced engineers in the company’s Future Mobility division and communicate how the car’s systems track nearby objects through its camera and LiDAR sensors. Jaguar Land Rover underlined that safety is the first priority of the company in developing self-driving technology. “It’s second-nature to glance at the driver of the approaching vehicle before stepping into the road. Understanding how this translates in tomorrow’s more automated world is important. We want to know if it is beneficial to provide humans with information about a vehicle’s intentions or whether simply letting a pedestrian know it has been recognized is enough to improve confidence,” said Pete Bennett, Future Mobility Research Manager at Jaguar Land Rover.